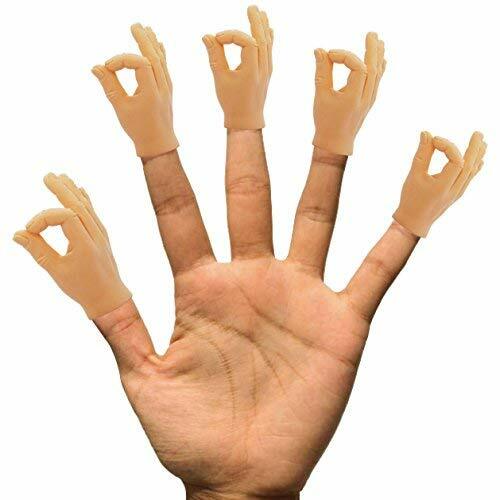 5x Tiny Hands A-Okay Finger Puppets "The Circle Game"
Funny gag gift for music festivals, birthday parties, bar nights, viral videos, or to relieve stress. Fits on your fingers to trick your friends into losing the game! A-Okay shaped hand like the emoji and 90s kids circle finger game. Skin safe material that bends and folds but retains its shape perfectly it also resists more dust and dirt compared to softer models. The Original Creator of the Circle Game Tiny Hands. We do hands the right way!